Please do not copy and paste or reproduce the images on our site in any way. 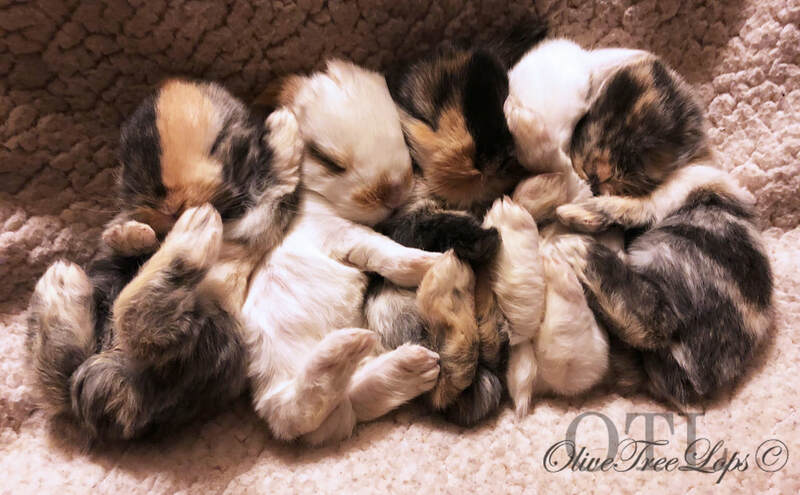 We raise an assortment of colors in Holland Lops, Mini Lops specializing in; BEW (Blue Eyed White) and Tri Color we get a variety of other colors in our litters. Holland Lops have been a part of my family since I was a child and I am happy to be sharing the same wonderful experiences I had with them with my own children. Ranging from 2-4lbs the Holland Lops' size and sweet nature makes a wonderful addition to any family. 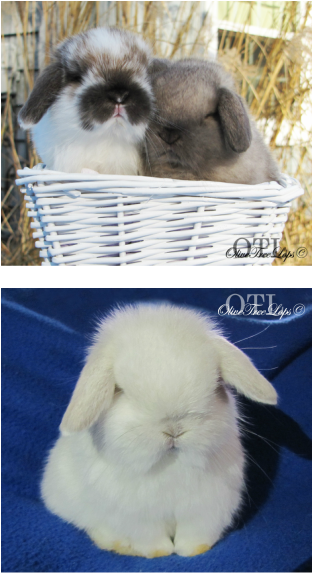 Mini Lops Have stolen our hearts. Their loving temperaments and silly personalities are unmatched. Typically around 6lbs they are perfect family members as well. Please note we do have security cameras present on our property. We keep a closed rabbitry so we are not open for visitors.